Otis has purchased a site license to ZOOM for our web conferencing needs. ZOOM can be used on PC, Mac, iOS or Android (computer + mobile devices) when you download the Zoom App. 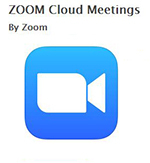 Need Help Setting Up A Zoom Meeting? Otis College of Art and Design is providing access to a web-based conference platform, Zoom, to support the faculty and staff in their day-to-day college related tasks and to provide students with needed resources for their classes. All Otis faculty + staff + undergraduate and graduate students have free access to Zoom. Go to Zoom (https://otis.zoom.us ). Login using your Otis Xnumber (students) or Email username (staff/faculty) and Email password to create and use your free Pro account. Contuining Education students can have access upon request to IS (helpdesk@otis.edu). Visit our Usernames + Passwords page if you are having trouble with your Otis Log In. Check out this tutorial video about how to get started using Zoom. go to otis.zoom.us and select "LOG IN" (upper right) - select "meetings" - select "schedule"
The Teaching Learning Staff are available to help you with using Zoom. Useful if streaming a large event like Convocation, Academic Assembly, Visiting Artist Lecture, etc. Contact IS (helpdesk@otis.edu) to schedule a large capacity meeting, include date and time. Please request at least two weeks in advance if possible. If using the FORUM, you will need a room set-up that includes in addition to the computer on the podium: using the polycom and a webcam mounted on a tripod to capture the speaker located on the side. The Video Lab (videolab@otis.edu) or the Instructional Designer (jventurini@otis.edu) can assist with the Forum set-up. Zoom allows you to give someone permission to schedule Zoom meetings on your behalf. To learn how to give someone schedule permission and to use this feature, please visit the Zoom Support Center. This feature allows anyone participating in an online Zoom meeting to share their desktop. Check out the Feature Spotlight for more information. 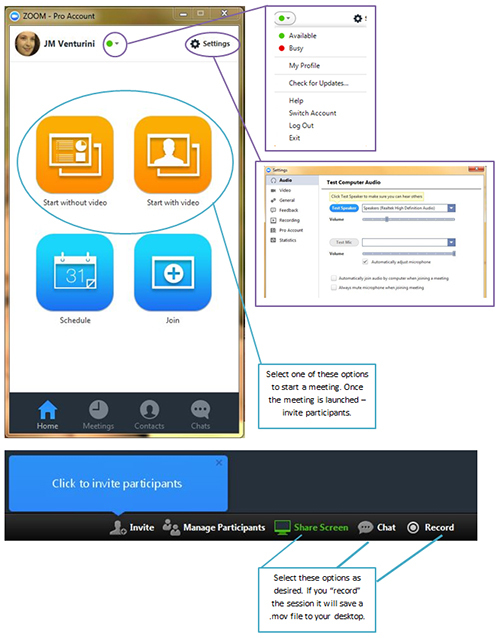 When one screenshares, there is an option to annotate what is being seen on the screen within the meeting. In this way someone could mark-up or hightlight a document, powerpoint, or image in a live meeting without damaging the original. There is also an iPad Whiteboarding feature available as well for live online instruction.